Hebrew is the official language of the State of Israel. It is a Semitic language spoken by the Jewish people and one of the world’s oldest living languages. There are 22 letters in the Hebrew alphabet and the language is read from right to left. Originally the Hebrew language was not written with vowels to indicate how a word should be pronounced. However, around the 8th century as a system of dots and dashes was developed whereby marks were placed beneath the Hebrew letters in order to indicate the appropriate vowel. Today vowels are commonly used in Hebrew school and grammar books, but newspapers, magazines, and books are largely written without vowels. Readers must be familiar with the words in order to pronounce them correctly and understand the text. Hebrew is an ancient Semitic language. The earliest Hebrew texts date from the second millennium B.C.E. and evidence suggests that the Israelite tribes who invaded Canaan spoke Hebrew. The language was likely a commonly spoken until the fall of Jerusalem in 587 B.C.E. Once Jews were exiled Hebrew began to disappear as a spoken language, though it was still preserved as a written language for Jewish prayers and holy texts. During the Second Temple Period, Hebrew was most likely used only for liturgical purposes. Parts of the Hebrew Bible are written in Hebrew as is the Mishnah, which is Judaism’s written record of the Oral Torah. 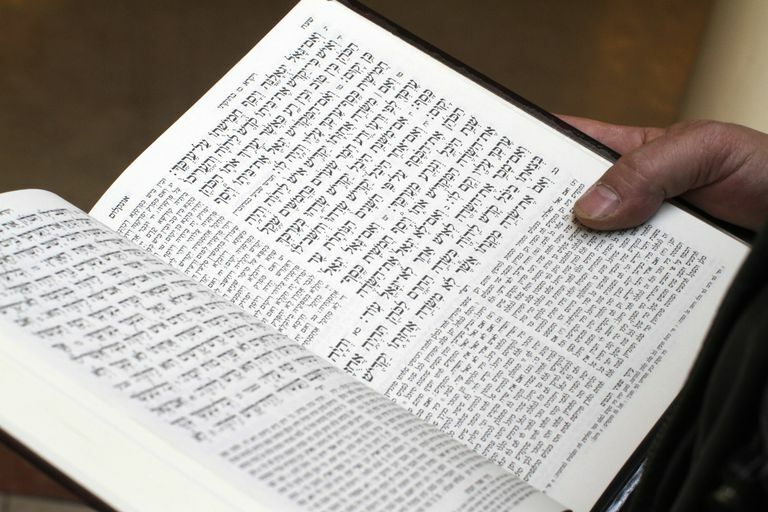 Since Hebrew was primarily used for sacred texts prior to its revival as a spoken language, it was often called “lashon ha-kodesh,” which means “the holy language” in Hebrew. Some believed that Hebrew was the language of the angels, while the ancient rabbis maintained that Hebrew was the language originally spoken by Adam and Eve in the Garden of Eden. Jewish folklore says that all of humanity spoke Hebrew until the Tower of Babel when God created all the languages of the world in response to humanity’s attempt to build a tower that would reach the heavens. Up until a century ago, Hebrew was not a spoken language. Ashkenazi Jewish communities generally spoke Yiddish (a combination of Hebrew and German), while Sephardic Jews spoke Ladino (a combination of Hebrew and Spanish). Of course, Jewish communities also spoke the native language of whatever countries they were living in. Jews still used Hebrew (and Aramaic) during prayer services, but Hebrew was not used in everyday conversation. Ben-Yehuda had studied Hebrew while a Yeshiva student and was naturally talented with languages. When his family moved to Palestine they decided that only Hebrew would be spoken in their home – no small task, since Hebrew was an ancient language that lacked words for modern things like “coffee” or “newspaper.” Ben-Yehuda set about creating hundreds of new words using the roots of biblical Hebrew words as a starting point. Eventually, he published a modern dictionary of the Hebrew language that became the basis of the Hebrew language today. Ben-Yehuda is often referred to as the father of Modern Hebrew. Today Israel is the official spoken language of the State of Israel. It is also common for Jews living outside of Israel (in the Diaspora) to study Hebrew as part of their religious upbringing. Typically Jewish children will attend Hebrew School until they are old enough to have their Bar Mitzvah or Bat Mitzvah. English frequently absorbs vocabulary words from other languages. Hence it is no surprise that over time English has adopted some Hebrew words. These include: amen, hallelujah, Sabbath, rabbi, cherub, seraph, Satan and kosher, among others. References: “Jewish Literacy: The Most Important Things to Know About the Jewish Religions, its People and its History” by Rabbi Joseph Telushkin. William Morrow: New York, 1991. Why Are Jewish Handwashing Rituals Important? Who Was Yael in the Bible? The Legend of Lilith: Did Adam Have a Wife Before Eve? How Does Judaism View Suicide? Why Do Jews Eat Dairy on Shavuot?